The Hindenberg was on its way! That was all nine-year old Stenny could think about as he pedaled his bike furiously toward the Naval Air Station on a rainy spring evening in 1937. Stenny knew everything there was to know about the Hindenberg, and when the giant airship arrived in his hometown of Lakehurst, New Jersey, he was going to be there. He didn't know that before the night was over, he would learn what it means to be a hero. 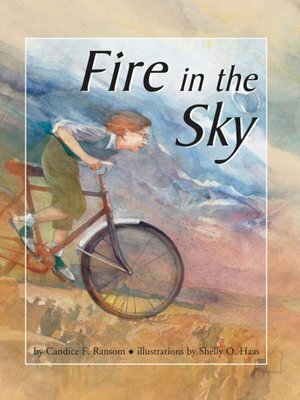 Written by the author of Jimmy Crack Corn, Fire in the Sky introduces young readers to this tragic episode in American history.